Politeness, tenderness and love. These are the words that come to mind when I think of the gorgeous April and the true English gent Matt. They both fell in love with Begur, a small city in Catalonia during the Fira dels Indians, a fair that takes place in September and remembers those times back in 19th century when lots of people from Begur emigrated to Cuba for a new life. Mojitos, Cuban music and laughs are guaranteed during the fair. So, obviously, their wedding took place in Begur, in September. 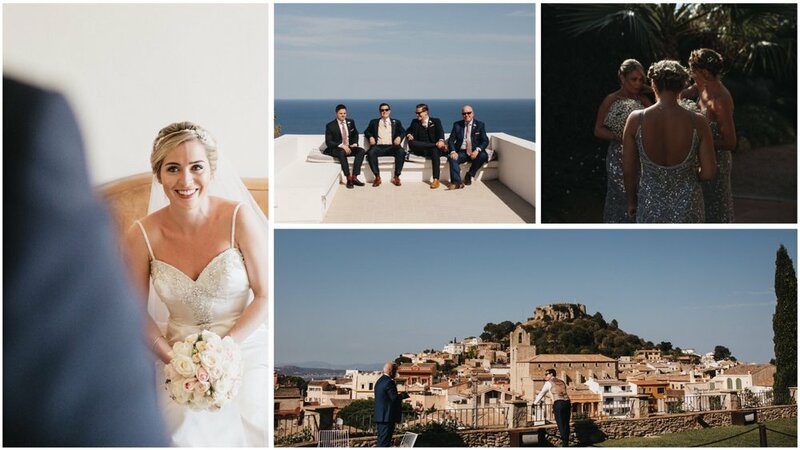 There were two venues chosen for the day; the ceremony took place downtown at a venue with great views over the Begur's fabulous ancient castle and the evening banquet was in a beautiful boutique hotel. Although Begur is soaked into the Cuban culture, April wanted to mix it up with a Mexican Mariachi band to accompany them during the canapés. A really nice touch for the last part of their day. All guests enjoyed throughout the whole day and April and Matt had the day they were dreamed of for so long. Thank you, April and Matt for your trust. "We first spoke to Angela a month after our engagement and what would be a whole 18 months before our wedding; our first impressions were that she clearly knew her stuff - and we were not wrong. 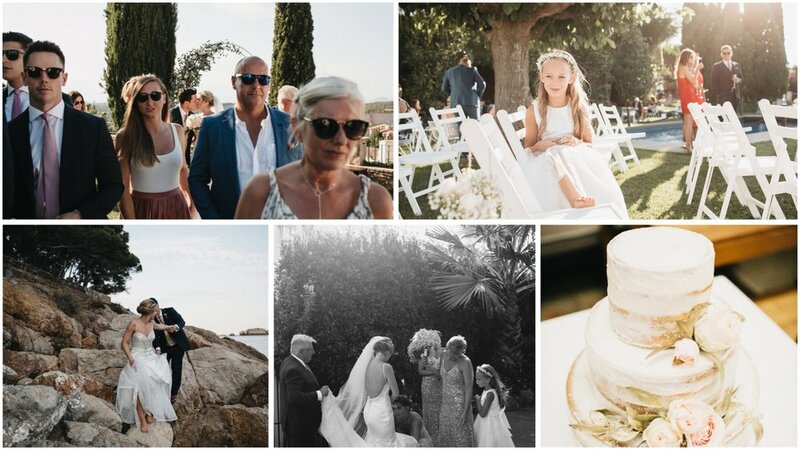 She instantly understood what it was that we wanted for our wedding and why it was that we wanted to celebrate in Begur. Angela and Silvia organised a huge range of venues for us to visit, a great range of florists, photographers and much more. Even when things didn't go to plan, they were able to pull it back and keep us calm. They dealt with all of our queries and more eccentric requests with ease and with an attitude that nothing was too much trouble. We keep telling our guests that hiring Catalonia Weddings Boutique was the best money spent in our wedding (ok maybe along with the mariachi band they sourced for us!) and wouldn't hesitate to recommend them to anyone thinking about planning a wedding in beautiful Catalonia! I will truly miss our visits out to Barcelona to meet Silvia and our regular liaison with Angela! I cannot speak of them highly enough."